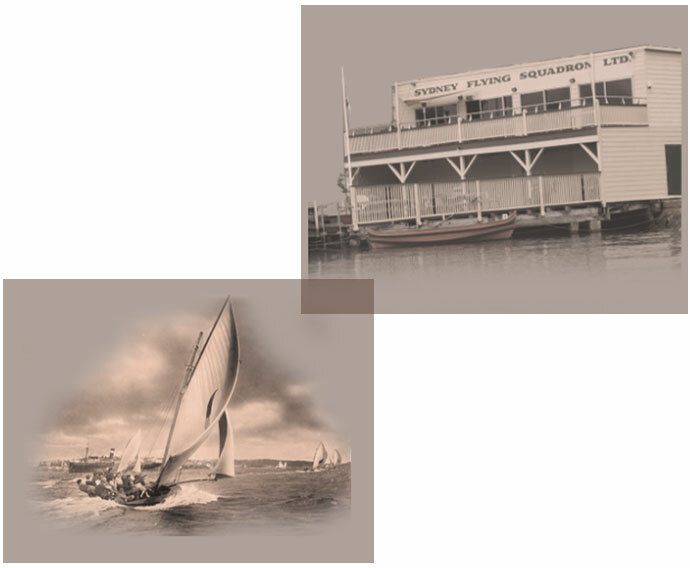 The Sydney Flying Squadron is Australia’s oldest open boat sailing club. We have a committed sailing, social and maintenance volunteer base. A small club like ours relies on its members for many skills and we really appreciate all their support. Please email us and let us know if there are any areas in which you can assist us. The 18-footers are an Australian invention – indeed a Sydney one. Being unrestricted in design – except having to be 18 feet in length (5.49 metres), they have evolved and been developed from the early 20 th century dinghy hulled wooden boats to the carbon fibre skiffs today with more in common with aviation technology that the traditional wooden boat building techniques that predominated in the early part of the twentieth century. Controversial in sailing circles from the start, skiff racing was seen as a working man’s sport distinguishing it from the gentlemen’s amateur sport of yachting. At their peak more than 30 18-footers raced each week, followed by crowds of spectators and punters in chartered ferries. 18-footer sailing in those days attracted as great a following as horseracing, with prize money for the winners and bookies on the ferries. In 1891, Sydney draper and businessman, Mark Foy, convened a meeting in the Rainsford’s Cambridge Club Hotel in Sydney to establish new rules for open boat racing. These rules were that the Squadron would race their boats with coloured sail emblems. There would be handicaps applied at the start to make an exciting finish and would race over a triangular course. The intention was to make the race exciting for spectators. The men were prepared to ignore the established yacht clubs’ rules and set up their own Squadron’s rules. This was the beginning of the Sydney Flying Squadron.